There were two main transmissions used in the Nissan Skyline GT-R's from 1989-2002. The R32 and R33 used a 5 speed transmission from Nissan(FS5R30A), and the R34 GT-R used a 6 speed transmission from Getrag(V160). 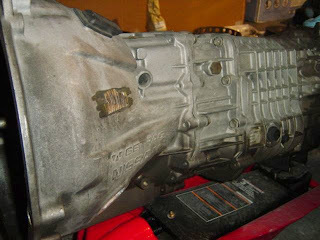 The FS5R30A is very similar to the 300ZX transmission internally. 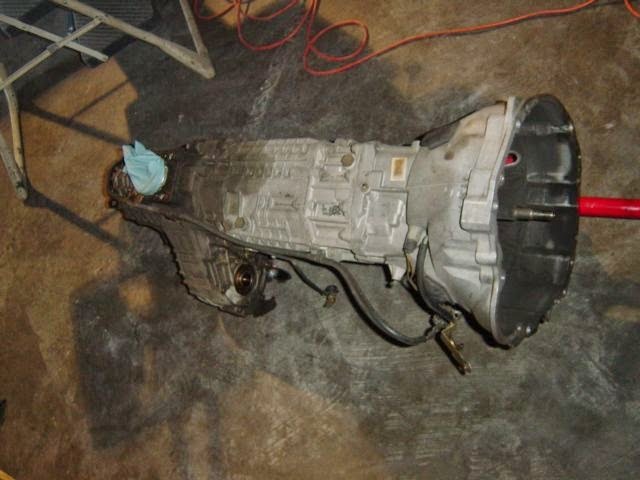 The Getrag is the same transmission as used in the Toyota Supra. 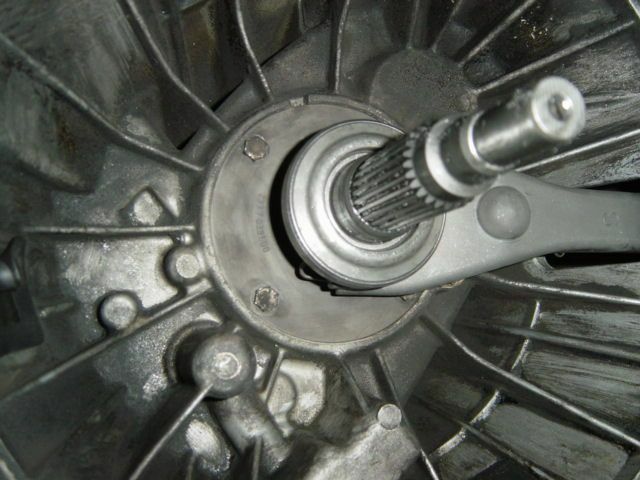 The input shaft and main shaft are unique to the GT-R, the rest of the internal parts are interchangeable. R32/R33 has 4.111 gear ratio, the R34 has a 3.545 gear ratio. We have seen people running 4.3, 4.111, 3.7, and 3.54 on R32/R33/R34. Complete Getrag swap for an R32/R33 GT-R. The transmission itself, with proper bellhousing. One Getrag V160 for a Nissan. Find Getrag V160 for Nissan Skyline here! A Nissan V160 Getrag getting a rebuild by Suzuki from Shift Racing. Transfercase - The Getrag uses a specific transfercase, so you can't just reuse the one off your R32/R33. Dirty Getraf with transfercase. 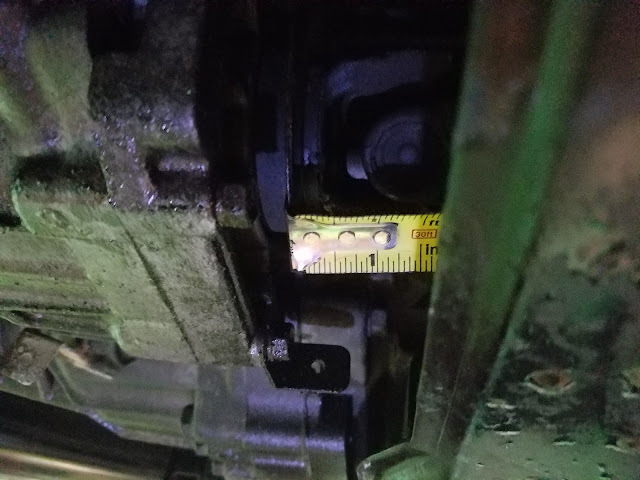 They can often puke fluid out of the transfercase. Shifter assembly. Obviously the 6 speed shifter and knob is different than the 5 speed. 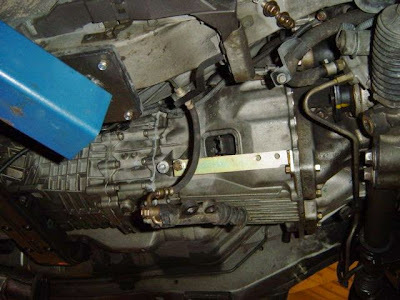 Driveshaft - The R32/R33/R34 use a two piece driveshaft. You can get by, with just changing one section of the shaft. Front propshaft - The length is different between the R32/R33 and R34. R32/R33 flange to flange, not overall length is 27 inches. The R34/Getrag flange to flange is 28 inches. This Getrag has been converted to push style clutch actuation. Crossmember. You can swap the crossmember if you want, or just modify your OEM one. Two bolt holes, slightly different spot. 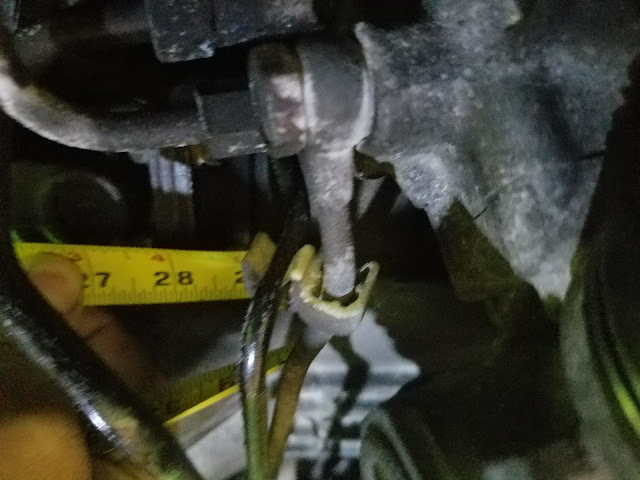 Wiring harness changes - The plugs are different. The circuit is pretty basic. We will find the proper diagram and put it here eventually. Various bolts - Some are different. Specific Fluid - Don't try and fill it through the gear shifter. Through the gear shifter is the transfer case . The Getrag uses 08885-01306 from Toyota, or we have used Redline High Temp ATF, and Royal Purple ATF. Everything is pretty straightforward. Remove the old transmission, install the Getrag. If you have all the right parts it should go smoothly. We have seen NISMO mention that the floor needs some hammering, but we didn't run into that issue in the R32 GT-R's that we have done. The recommended gear ratio is 3.7. Splitting the difference between the R32/R33 4.111 and the R34 3.545. If you have ever seen the Mines R34 getting down on video, we think that car is running the Getrag with 4.3 gears. Using some mechanical advantage. Did you use part of the GMC Driveshaft to make the custom driveshaft for the Getrag conversions? Anymore details on how the driveshaft was made of converted. No. Just the first picture I could find of a Skyline GT-R driveshaft. Sean, great info here. I've got the getrag conversion done now on my BCNR33 and am considering just going for an aftermarket aluminum or carbon driveshaft. Any idea if an off the shelf piece (perhaps for the R34?) would work or will I need to go the custom route? I was going to say R34, but I am pretty sure there are length differences. Been a while since I had all the parts on the ground, so my memory isn't the best. I need to measure some propshafts and driveshafts next chance I get. The R34 shaft we had, needed a spacer to work.